Motherwell have joined the race to sign frozen-out Jordan Rossiter on loan, it has today emerged, following Dundee United and Sunderland’s well-documented interest. 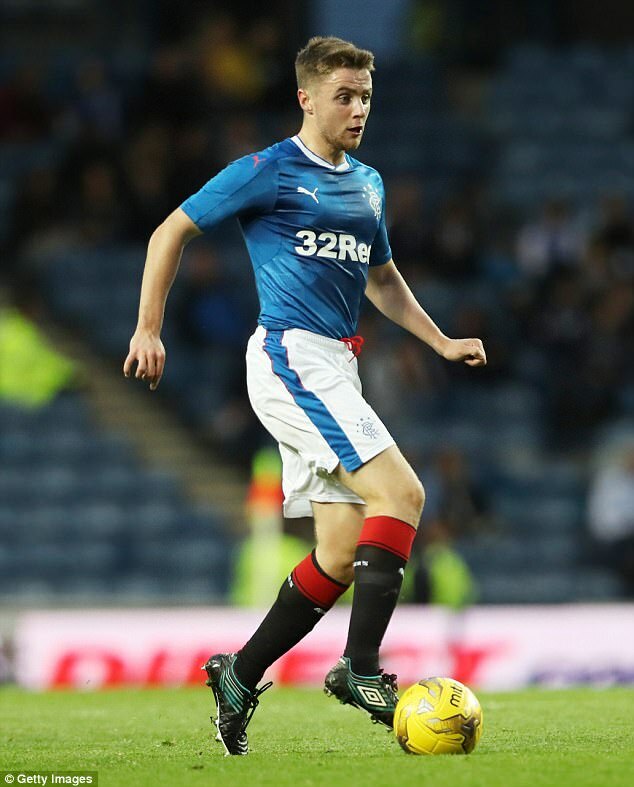 Steve Robinson is looking to add quality to his midfield and current reports are he’d consider Rossiter a useful addition to his side, and he would mark the second fringe Rangers player to go out on loan to an SPL side this season (Hardie to Livi). The former England youth international is heavily in demand – manager Steven Gerrard has made it clear that he is not in his plans moving forward this season, despite loving the kid, and all parties concerned seek a move away from Rangers till the summer to get the anchor man some serious game time. For his part Hardie has excelled at the Toni Macaroni, and we know just how good Rossiter actually is if he can stay fit, but he’s simply not been able to, and this season finally just about having achieved that has found himself completely down the pecking order. Motherwell’s gain would be Rangers’ loss for this season but like Hardie Rossiter would see this as a way to get minutes in, match sharpness in and a real fist at a first team Rangers place next season. Sorry but there's little to be gained from signing/loaning a player who's never fit and able to contribute much. If this guy was a car he'd have been written off a long time ago; feel for him but there's not room for sentiment in this game. Pull your weight or ship out! Could be wrong, but I'm pretty sure he's been fit all season, or at least the majority of it. Surely it's better to see if he's put his issues behind him and can get to a level of performance that could improve us. And if not put him in the shop window. Of course there is room for sentiment. You'd need to a very hard nosed individual to not wish this young player all the best. He deserves a break. I'm sure you could find alot people. Jordan is 21 years old. Can still prove to be a great player. Six months away from Ibrox will do him good if playing in a competitive league in England. Easy decision , send him to Sunderland .Wouldn`t give the other two light in a dark corner. Apart from anything else if he goes to Sunderland and does well enough we would have a chance of getting decent money for him, assuming we didn't want to take him back. We wouldn't get 2 bob from Motherwell and Dundee Utd.